Milk Caramel. Milk and Saccharose, very rich in protein and source of energy. Does not contain either preservatives or food colouring. Without added fat, milk caramel is an optimal spreadable cream on bread, crackers and biscuits. HIGHLY DIGESTIBLE: More than 70% of the world population has some milk intorlerance due to its sugar content, the lactose. 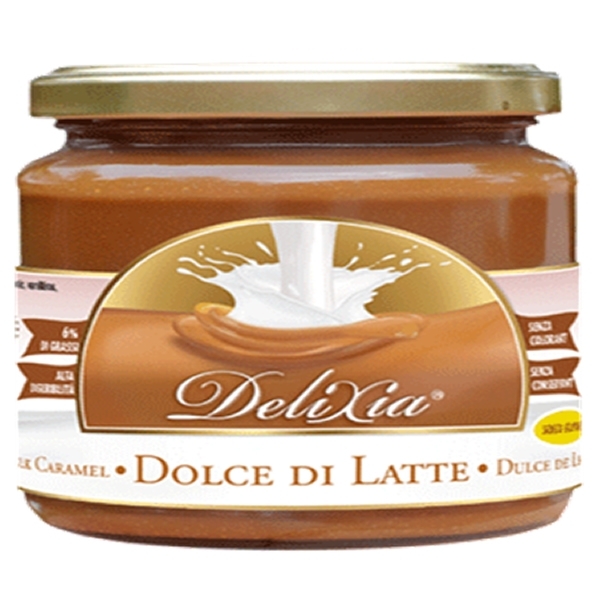 DeliXia® only uses delactosed milk making it more digestible and pleasant tasting.